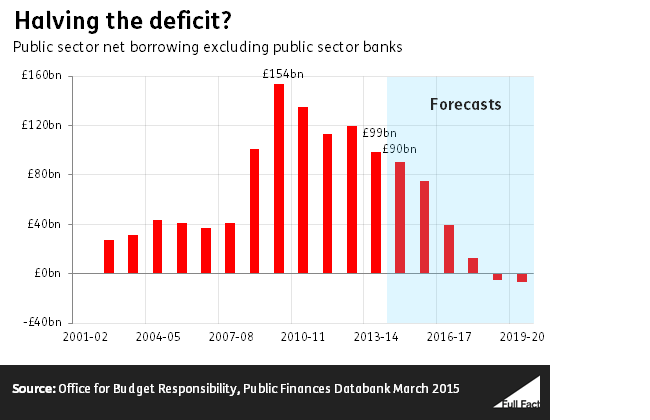 Well, the deficit HAS been halved, but only as a proportion of GDP. It’s NOT the case that the deficit will have halved in terms of its absolute value, which is the usual way of measuring the deficit, and this is presumably what the article above is quoting. Corneilius, you are confusing the UK’s debt with the UK’s deficit. 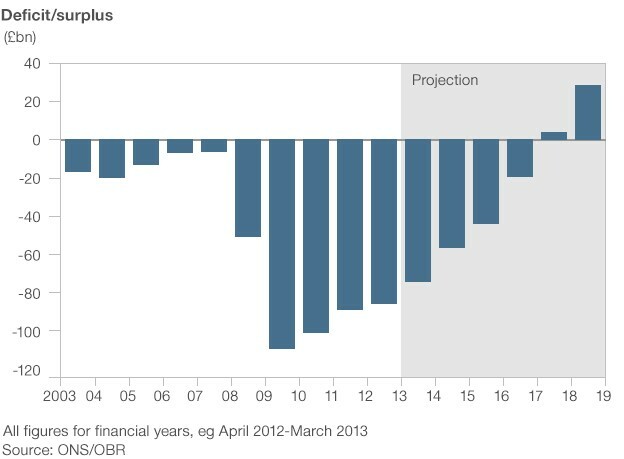 If you compare the two graphs you will see that as the deficit is reduced the growth in national debt is also reduced (but still rises). Once the budget deficit is eliminated and we are in budget surplus (making money) only then can we start reducing the national debt – that is if we decide to do so rather than spend the surplus and keep the debt. Why have TPA not responded to Steve M.#s point?